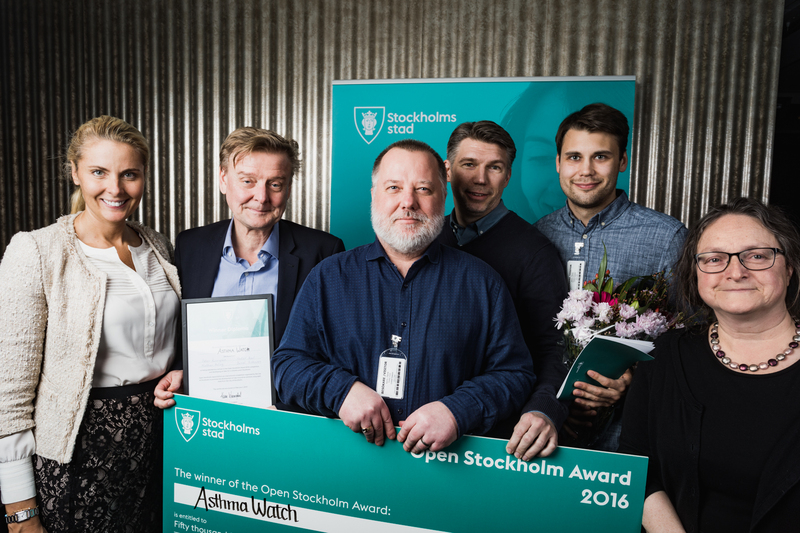 Our app AsthmaWatch has been selected as one of the finalists in the Open Stockholm Award contest. The purpose of the contest is to explore new ideas for services and apps to make Stockholm a more sustainable and environmental friendly city. 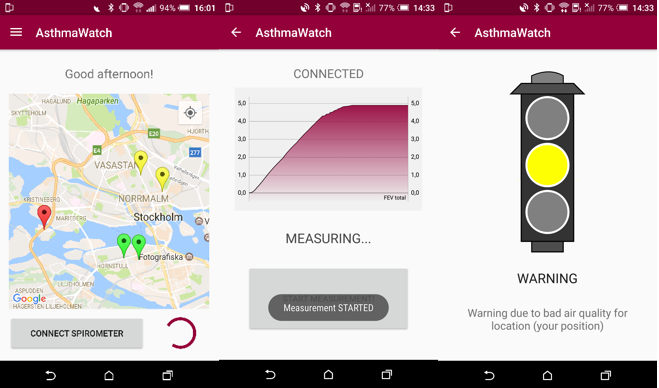 Our AsthmaWatch app is built using Almanac Smart City IoT Enablers. The app uses air quality sensors and warns asthma patients about unhealthy environments. The final will take place in the Stockholm City Hall. 12 finalists have been selected from 220 submissions. 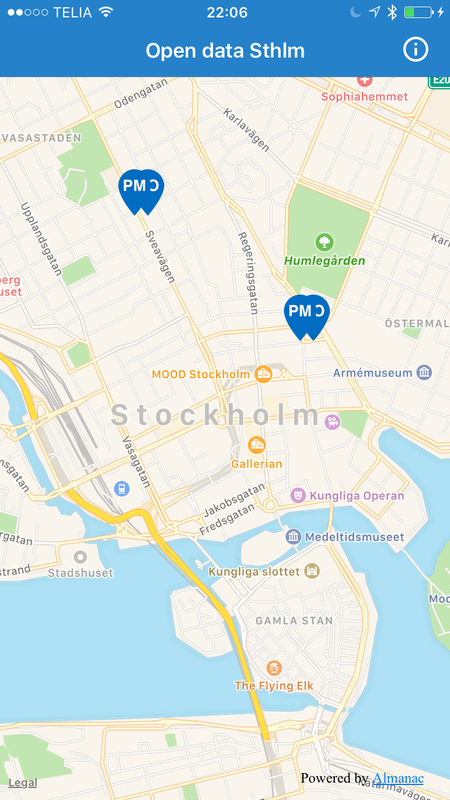 We have launched an iOS app, Open Stockholm, that shows the outdoor air quality and other environmental parameters in different places in Stockholm. 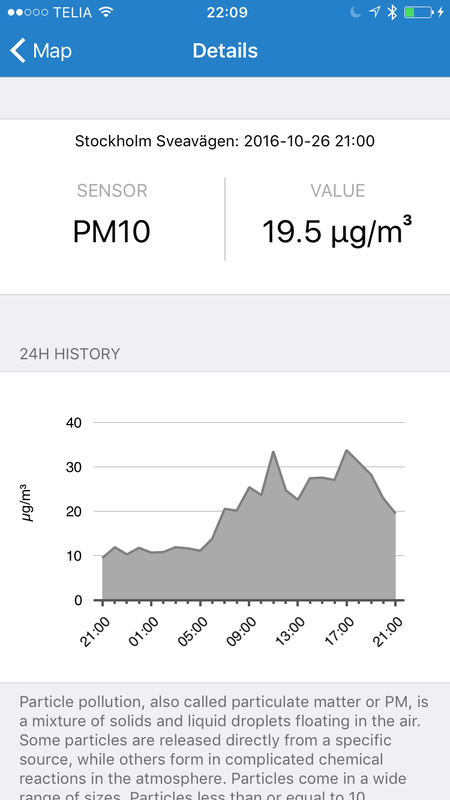 The current level of different particles like PM10 and PM2.5 as well as the level of NO2 and Ozone is shown as well as historical values during the day. The app is freely available in AppStore. Search for “Open Stockholm”. 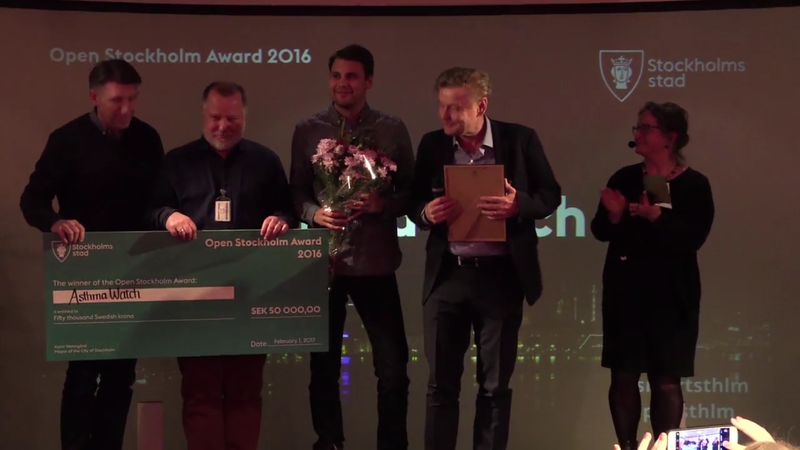 The city of Stockholm recently organised a hackathon to create solutions for innovative smart city services and applications based on available open data sources in Stockholm. CNet participated with a team of 4 developers using the Almanac Smart City IoT Enablers as a development tool. The result was two applications: one establishes the air quality by reading real-time values from air quality sensors around Stockholm, displaying them on a map. The other one, named AsthmaWatch, has more advanced features, enabling a user to blow in a lung capacity meter and checking the lung capacity against the air quality at the closest sensor to the user location, issuing an alert if the area is risky. The app also checks with the user’s calendar for booked meetings during the day and predicts pollution at the meeting location, issuing warnings if problems might occur. The AsthmaWatch solution uses the full solution of Almanac Smart City Enablers and more or less involves all aspects of Almanac. AsthmaWatch also integrates with the Swedish National Health Account and CNet’s own home monitoring solution; the LinkWatch ehealth cloud, demonstrating a federated cloud solution. The whole solution was created within less than one week and was very well received in the audience. This is part of our innovation area Smart Cities and Infrastructures.